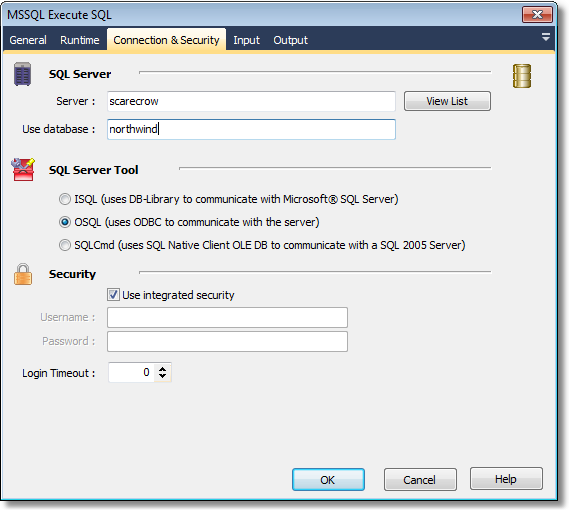 Execute an SQL statement against Microsoft SQL Server and capture the result set. Server - Specify the MS SQL Server to use. Clicking "View List" will attempt to locate any SQL Servers on the network. Use Database - Specify a database to run the SQL against. SQL Server Tool - choose the method (isql, osql or sqlcmd) to use to connect with. Security - If not using integrated (ie. Windows) security, you should specify the username and password to use. 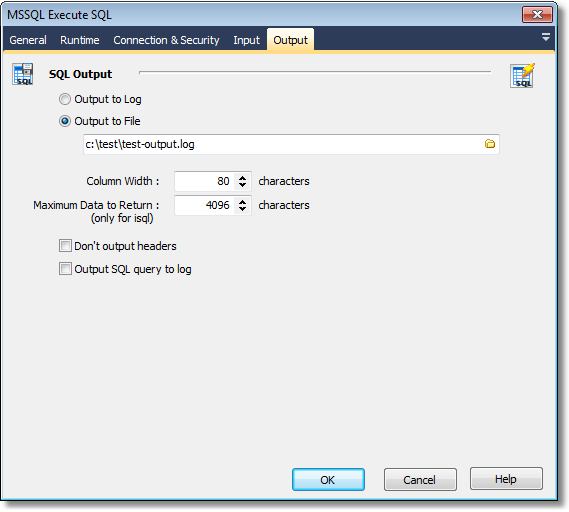 SQL Input - SQL Script from file - specify a file which contains an SQL Script. 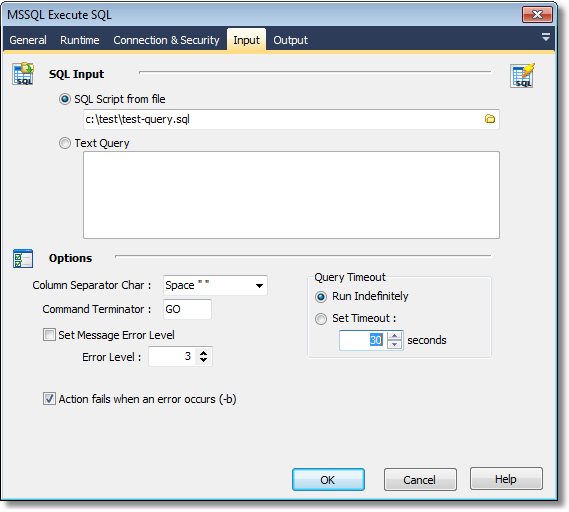 - Text Query - Specify the SQL Query to execute. The query results can either be output to a file or to the FinalBuilder Log.